Feet without pads. Hind femur is yellowish. Third antennal segment ends in bristle. 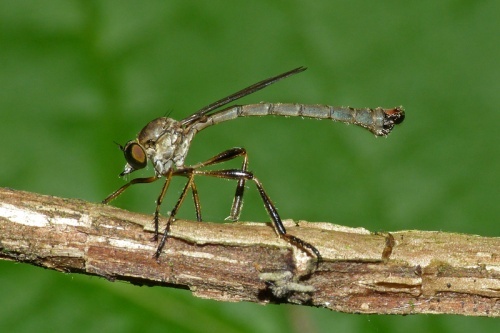 Resembles a crane fly in flight. 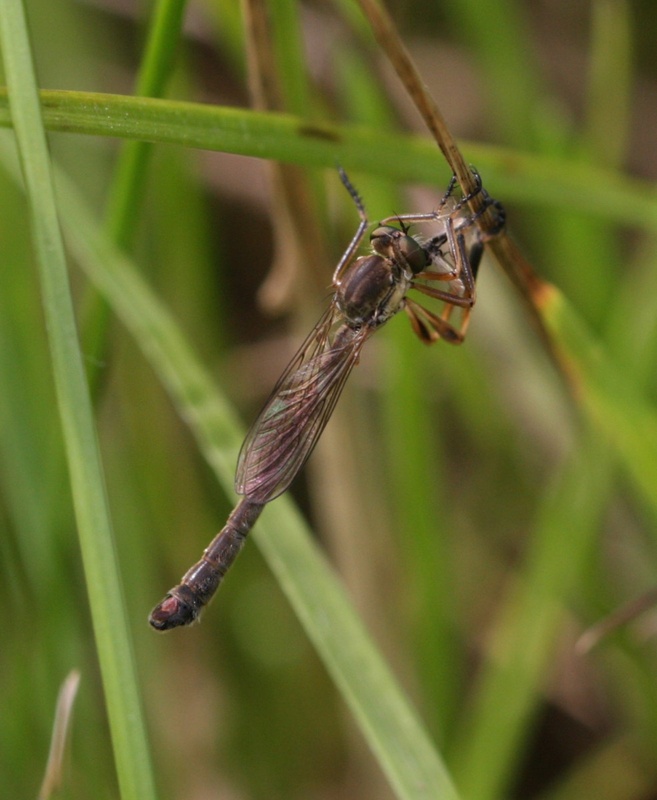 Leptogaster guttiventris is similar but has reddish hind femur. Flies slowly amongst grass plucking aphids from the leaves. Widespread in the southern half of Britain, but scarce further north.